This dental malpractice lawsuit was filed by a woman in Montgomery County after her dentist left particles behind during a procedure resulting in an infection. It was filed in Health Claims Arbitration on April 5, 2017, and it is the 160th medical malpractice case filed in 2017 in Maryland. 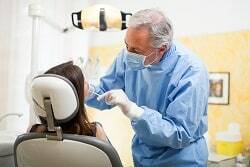 Plaintiff goes to defendant dentist with pain surrounding one of her teeth. Defendant tells her that she needs a root canal and a crown. He performs the procedure, but after the woman has pain around the area. The dentist grinds the tooth down, but this does not relieve her pain. The woman goes to a different dentist who takes an X-ray. It is determined that her condition is due to an infection, which resulted from a particle being left after the root canal procedure. The woman's only choice was to have another root canal procedure done. When she goes to see an endodontist, this infection and particle in the root canal is confirmed. She has the infected tooth extracted successfully. She files this claim, arguing that the dentist should have known the cause of her pain was due to an infection that was the result of an instrument being left behind after the root canal procedure. The big issue in dental malpractice litigation is whether the cost and expense of the lawsuit is sufficient to justify the claim. This is a classic case. Just based on a read to of the complaint, there is a fear that the cost of pursuing the case could exceed the trial or settlement value of the claim. Plaintiff is correct that she would have had a better chance of a good outcome with antibiotics and that an x-ray might have caught the foreign body that had been left behind. As you will see at the bottom of the page, there are a lot of dental malpractice lawsuits filed in Maryland, most by the same lawyer. This case was not filed by a lawyer who handles most of the dental malpractice claims in Maryland. If you have suffered as a result of the negligence of a dentist, we can help you. You are entitled to justice and compensation for the harm you have suffered. Miller & Zois has a long history of results in medical malpractice cases in Maryland, earning large verdicts and settlements. Call Miller & Zois today to speak to a medical negligence attorney at 800-553-8082 or get a free online case review.